Whitehall is an odd place. I had occasion on Sunday to find myself wandering through St James Park, across Horseguards’ Parade and onto Whitehall itself. Obviously, lots of tourists were about, getting snapped with the high-booted Guards or the traditional British bobbies. 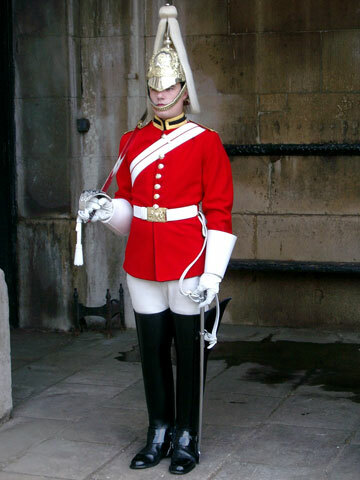 Which is lovely for the tourists and probably immensely annoying for the people in uniform, especially as the Guards aren’t allowed to move, and lots of the police officers are diplomatic protection group with big machine-guns which isn’t exactly Enid Blyton imagery. For me, though, there’s an awesome sense of history on those streets. The Admiralty, where the seas really were ruled from. Horseguards where Wellington had his desk and wars were run from, the Foreign Office where the lamps went out all over Europe, the Treasury building, Churchill’s war rooms down Clive Steps, Downing street with its huge gates and paramilitary police officers, a definite but sad sign of the times in which we live. It’s an otherworldly place, seemingly so different from the rest of London. All those buildings are great but, of course they are overshadowed massively by the Palace of Westminster, the seat of our democracy since the Model Parliament of 1295. I’ve visited the place many times over the years, as a tourist, to lobby, and just as a guest. And the place fills me with awe every time. floor where Mandela stood, where Charles I, William Wallace and the genuine Guido Fawkes (we can but dream, friends) were tried; the broom cupboard where suffragette Emily Davison hid herself during the 1911 census; the spot where Spencer Perceval was shot and killed (though his dead body was carried to Downing Street where he was declared dead, as nobody ever dies in a Royal Palace); to stand in St Stephen’s Hall and think of Cromwell, Walpole, the two Pitts, Wilberforce, and Grey; to stand in Central Lobby – what Erskine May called “the political centre of the British Empire” – and think of the orations of Churchill, Bevan, Lloyd George, FE Smith, Foot, and Cook. All these things move me in that place. It is one of the few places where you can stand and feel the history around you. Had it not been a Sunday, I probably would’ve found a reason to go in and lobby someone into getting me a drink in the strangers’ or sports and social while having a nose about at all the above stuff. But it was a Sunday. So I was stuck on the outside of the building and was struck by a few things. First, the number of security barriers around now. I know there are always concerns about terrorist attacks, but it’d be nice to resurrect Charles Barry and try and blend the damn things in a bit. Second, the statuary. 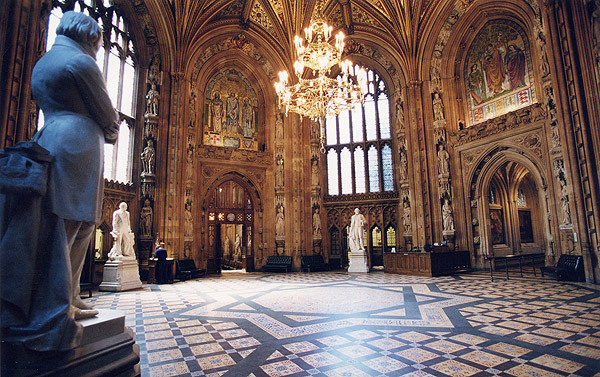 I don’t know who chooses the statues on the Parliamentary Estate, but I have to imagine it’s some committee somewhere. The choices are a little odd for me. The first big one you see is of Oliver Cromwell. Now, I know that he lead the Parliamentarians in the Civil War and some see him as a hero of liberty. But the truth is that he dissolved the “Barebones Parliament” in 1653, made himself Protector for life, introduced a dictatorship, had everyone address him as your highness, and committed genocide in Ireland. Hardly a national hero. 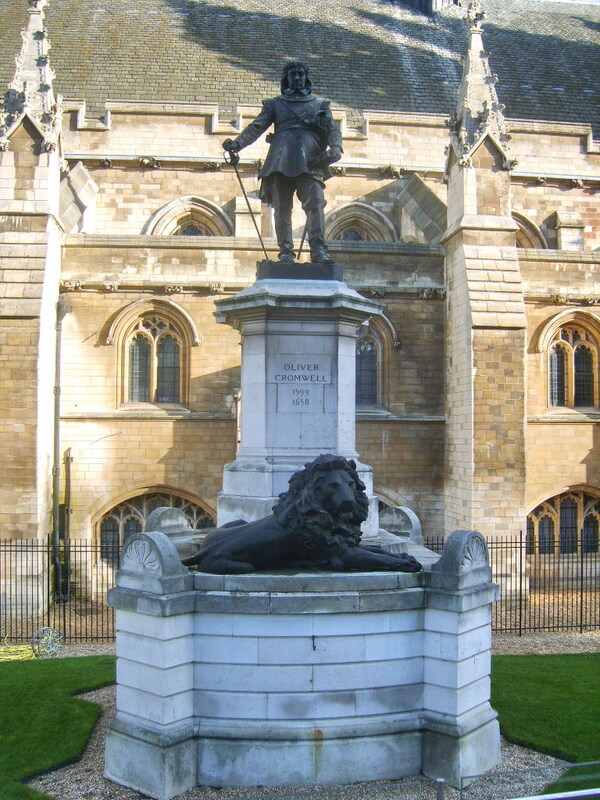 As you walk along the front of the palace to what is called Old Palace Yard but is in fact a car park, there’s a huge bronze statue which is of King Richard, placed there in 1860. A romantic choice for Victorian readers of folklore, but a pretty poor choice other than that. 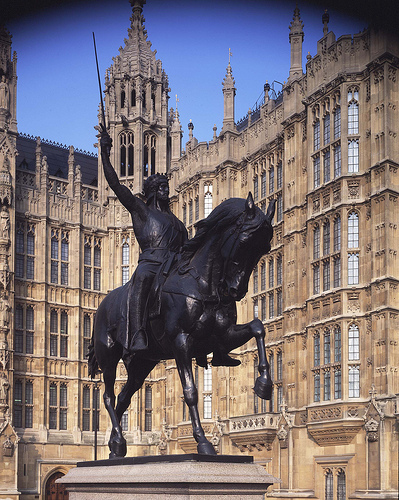 Richard was king from 1189 to 1199 during which time he spent 6 months in Britain, could speak only French, said he would sell London if he could find a buyer, ordered Jews flogged for, well, being jewish mainly, and led a war against Muslims. I can’t help thinking this isn’t the ideal role model for a 21st century Parliament. 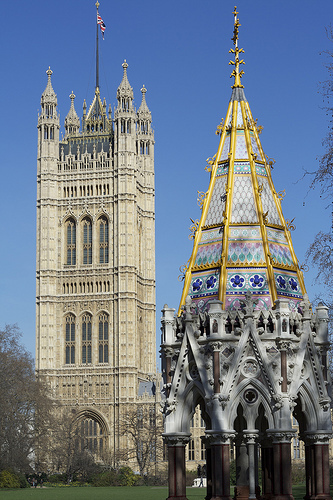 On the other hand, if you walk further round to Black Rod’s Garden and Victoria Tower Gardens, you’ll find the Buxton Memorial Fountain to commemorate the British emancipation of slaves. You’ll also find a nice statue of Emmeline Pankhurst from 1930, so these gardens gives us a lot more of what I think Parliament should have. Of course, it also gives us a fibreglass cow in the red ermine lined cloak of a Lord, which is a bit jarring. Guess it’s for American visitors. British sense of humour eh? *Update – the cow is called Ermine-trude and was part of Cow Parade London and was sold for charity in 2002. Next Lords treated like Cattle!